I recently responded to a comment by Sheena Towe Ng in regards to health inspections and sanitation standards of restaurants in Calgary, and in particular, Chinese restaurants. Today, both locations of T & T Supermarket in Calgary, which specialize in Asian foods, received the highest fines ever given in Alberta for food violations. The food safety violations ranged from unsanitary conditions; not properly cleaning knives, sinks, food prep areas, etc; and storing foods at improper temperatures. After pleading guilty to charges under the Public Health Act, $36,000 in fines were handed out to T & T Supermarket, five of its managers and a specialist, including $33,178 to T & T; $1,150 to Joanne Liu (Bakery/Hot Foods Specialist); $575 to Andy Chen (Hot Foods Manager); $402 to Victor Wong (Calgary Store Manager); $345 to Terrence Lee (Bakery Manager); $230 and $115 to Ji Wi Yang (Grocery/Dairy Manager); and $115 to Michael Wu (Harvest Hills Store Manager). The fines are close to the maximum for a first-time offender of these type of offenses. The supermarket was warned that the next time around the fines would be much higher and they would likely face at least a temporary closure. T & T Supermarket makes about $140,000 a day in sales, per store. The defense lawyer for T & T told the judge that the root of the problem was miscommunication about cultural aspects of preparing food from their head office in Vancouver – "In Asian culture, it’s custom for poultry to be displayed at room temperature because it retains its flavor." He said the communication problems have now been rectified and a food safety officer has been hired to monitor both stores. Prosecutor Rob O’Neill responded, "When you come to Canada you comply with Canadian law. If you don’t like it, get out of the country business." I can’t help but to wonder, does the room-temperature, un-refrigerated chicken, (chopped on a dirty counter with a dirty knife), really taste that much better? 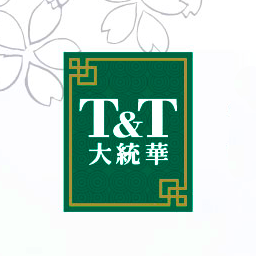 T & T Supermarket was published on Wednesday, April 30, 2008 at 10:30pm MDT by Daniel Menjívar and last updated on April 11, 2018 at 9:30pm UTC .